A cloud bank lies just east of the Continental Divide, with some lenticular shapes protruding. The morning sun briefly flashes off Mt. Meeker and Long's Peak before rising above the clouds to the east [behind us in this view], smothering everything in shadow. 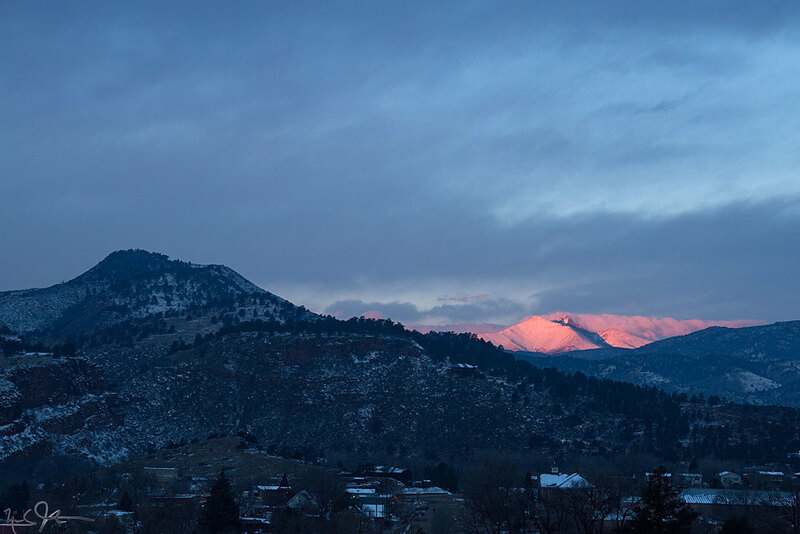 Purple alpenglow suffuses the horizon as the full moon sets just at sunrise. Link. Published on November 24, 2013 by Mark Johnston.